Trip Checkout Holidays Private Limited is India’s foremost travel website, offering you the best prices on holiday packages, hotel deals and flight rates. 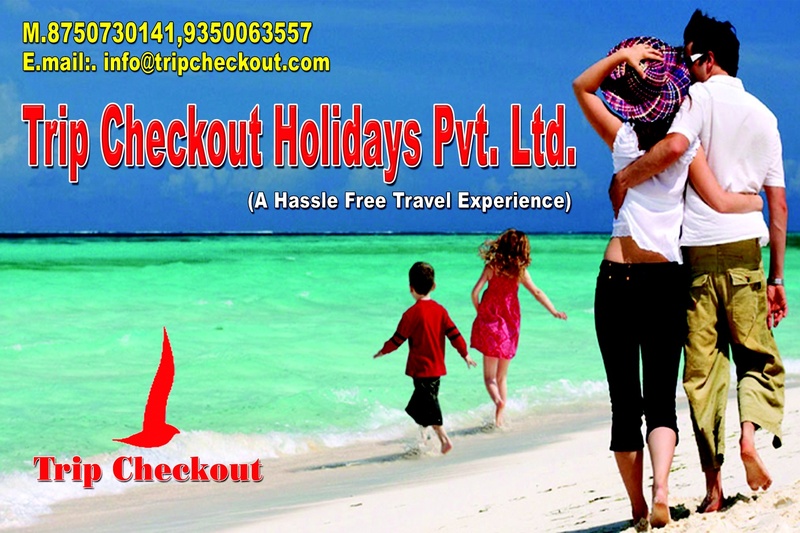 Trip Checkout Holidays Private Limited makes planning and buying a holiday or a business trip cool and convenient. Current offering of Trip Checkout Holidays Private Limited consists of airline tickets, hotel rooms, vacation packages and car rentals. Trip Checkout Holidays Private Limited is a luxury car rental wedding based out of Uttam nagar, Delhi . Trip Checkout Holidays Private Limited's telephone number is 76-66-77-88-99, Trip Checkout Holidays Private Limited website address is http://www.tripcheckout.com, address is Corporate Office C-43, 1st Floor, Rama Park, Nr Dwarka Mor Metro Station, New Delhi – 110059 . In terms of pricing Trip Checkout Holidays Private Limited offers various packages starting at Rs 2000/-. There are 1 albums here at Weddingz -- suggest you have a look. Call weddingz.in to book Trip Checkout Holidays Private Limited at guaranteed prices and with peace of mind.